Dont miss your chance to own this unique historic home. 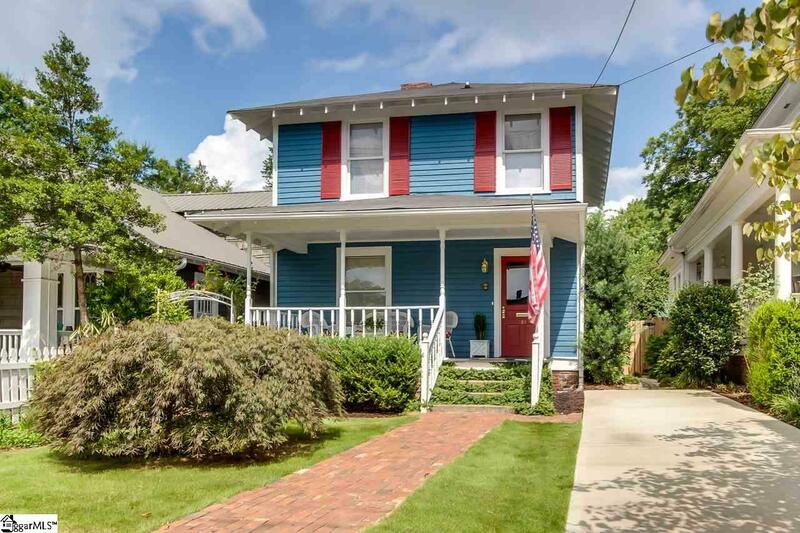 Located within walking distance of Greenville's award winning Main Street. 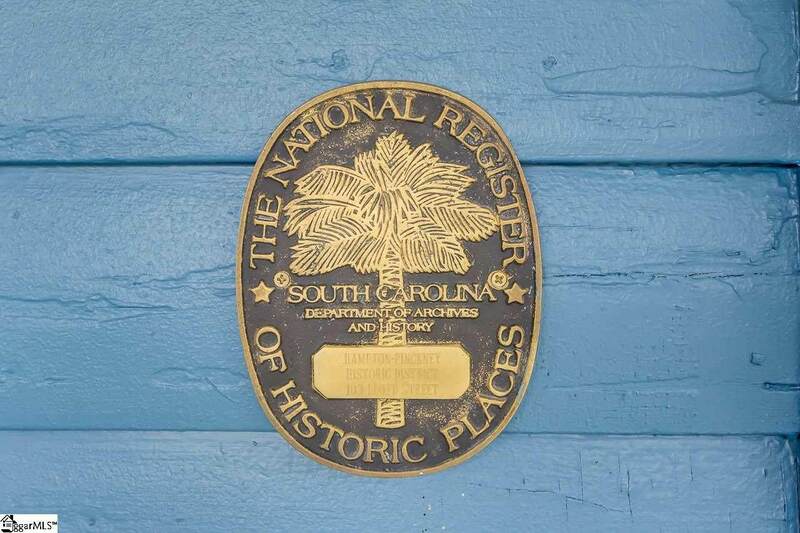 You'll enjoy being a part of the actively social neighborhood known as The Hampton Pinckney Historic District and find this home listed on the National Register of Historic Places. You do not want to miss out on living with access to all the restaurants, night life, events, and parks Downtown Greenville offers, including the Greenville Library, Children's Museum, Unity Park, Liberty Bridge and Swamp Rabbit Trail only a short walk away! This home is just a true beauty. 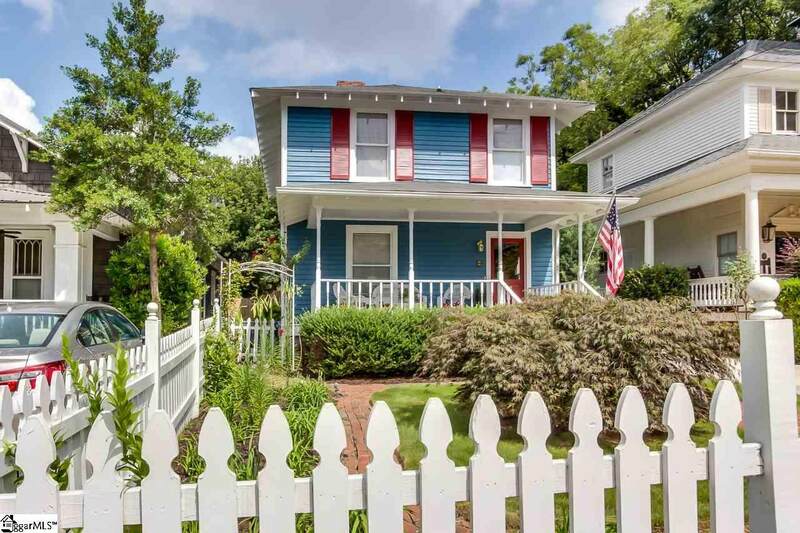 The moment you drive up you will fall in love with the white picket fence, landscaped yard and the wonderful front porch. Walk in the front door and you will find the home loaded with charm. This home features 2 bedrooms, 1.5 baths, living area, and dining room. The spacious kitchen with beautiful granite countertops, built in corner cabinet and all appliances remain. Beautiful hardwoods flow throughout the entire home. The bath has beautiful tile floors, gorgeous chandelier and stunning decor. 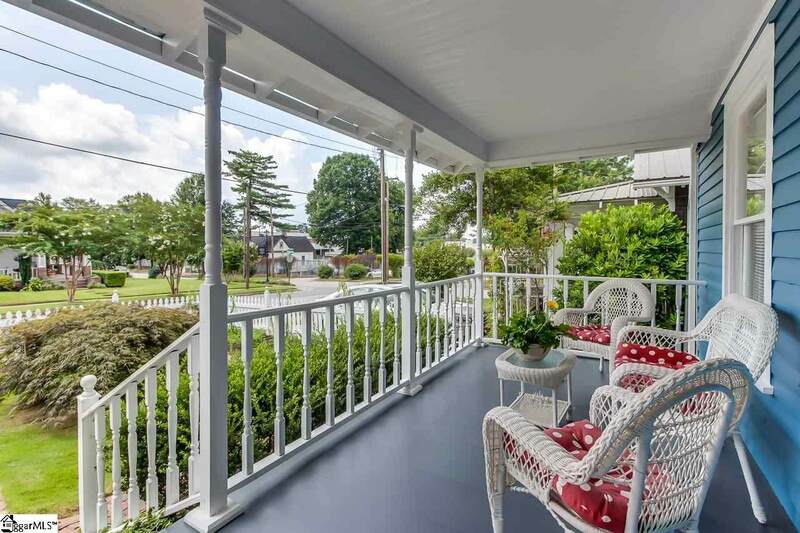 You will find southern charm when you walk on the back deck off the kitchen. Cozy and private fenced yard and landscaped with perfection with a pond and sitting area. Flowers bloom through-out the season and most of the bricks you see in the walkways are from the Furman University First Presidents home at Cherrydale before moving to Furman. You will enjoy the annual traditions in the Hampton Pinckney Neighborhood. Call me today to get your piece of Downtown living and enjoy the lifestyle before this treasure is gone.